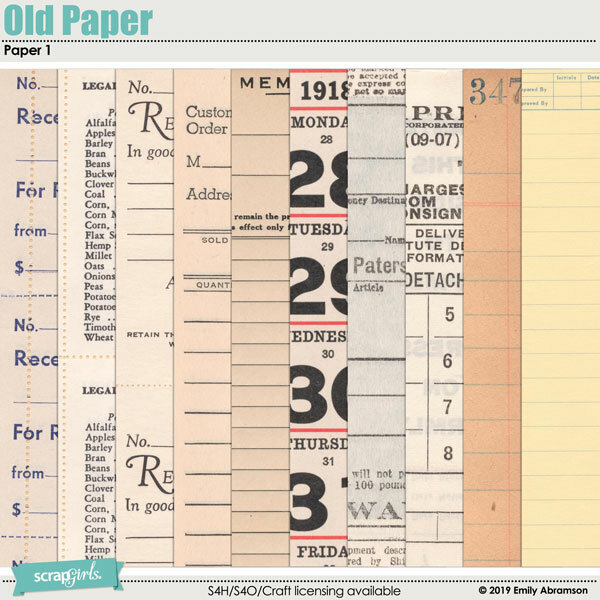 Old Paper Paper 1 digital scrapbooking kit by Emily Abramson for ScrapGirls.com. A digital paper collection featuring vintage textures to help you create beautiful memories. This collection can be used for your everyday layouts as well as art journaling projects. You will find a set of papers well suited for vintage layouts but also perfect for documenting everyday life and events. So versatile, you will find yourself turning to this kit for all of your memories. Excellent for use in creation of holiday greetings. • (10) 12 x 12 inch Background papers at 300 dpi, jpg format. The Vintage Ephemera Brush set is a collection of 6 Photoshop Word Art brushes created from vintage ephemera text and graphics, in ABR & PNG formats. Perfect for accenting your digital scrapbooking layouts, clusters, card making and crafts. This set comes in ABR& PNG formats. Black PNG files are 300 dpi with a touch of transparency. An autumn leaves themed digital scrapbooking paper kit featuring vintage textures and autumn leaves to create beautiful layouts, greeting cards, art prints and projects. This collection can be used for a variety of fun projects. 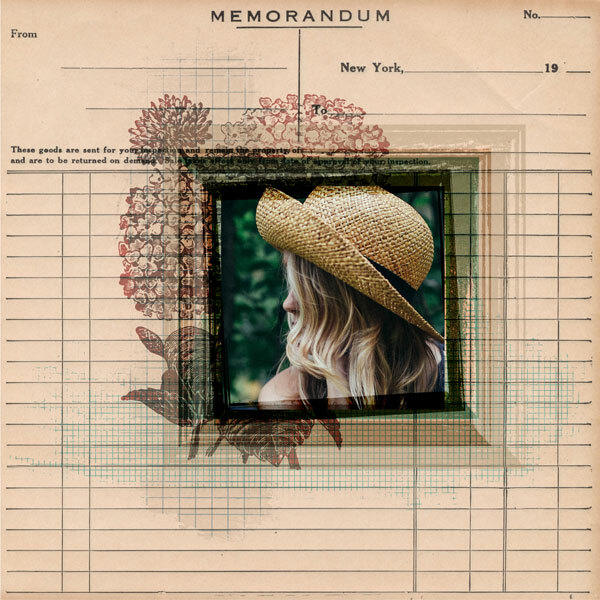 A vintage ephemera collage themed digital scrapbooking paper kit featuring vintage ephemera collaged together to create beautiful layouts, greeting cards, art prints and projects. This collection can be used for a variety of fun projects. A digital scrapbooking paper kit featuring colorful marble textures to create beautiful layouts, greeting cards, art prints and projects. This collection can be used for a variety of fun projects. The Waterworks Embellishment Mini - Flutters set is a collection of 6 mixed up watercolor butterfly elements in PNG format. Perfect for accenting your digital scrapbooking, art journaling, altered art, clusters, card making and crafts. I have all the Stack Them products and use them all the time. The frames are clustered so layout composition is a snap. I just add a background paper and a few embellishments and I'm done!